Rising Sun Mills, located down the street from Chris Freed’s building, was rehabed and converted into condos. At the time it was purchased for renovation, there were still several small businesses and artists with spaces in the complex. 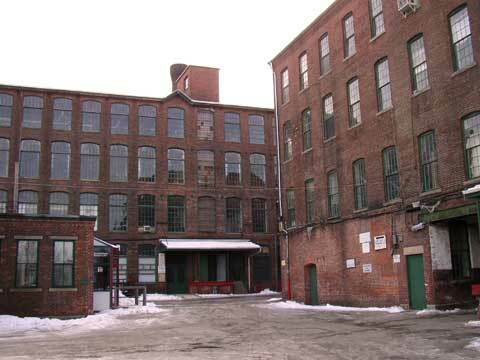 During the housing boom earlier this decade, developers began scooping up abandoned or underused factory buildings to convert them into condos. But as I examined in this piece for the public radio show Marketplace, this trend may have been bad for business. This piece originally aired on Marketplace on February 16, 2005. You can listen to the piece on Marketplace’s website here. Photo courtesy of Art in Ruins.